As a native born Detroiter, I use my newsletter to try and tell people about some of the great things that are going on in Detroit. We have a great city and many free opprotunities to experience our treasured institutions. You must be quite proud of your success in spearheading the collapse of government loans to help the American Automobile Industry get through this period of extraordinary financial chaos and uncertainty. As the head of a major science museum that exists to inspire young people to pursue careers in technology, I have an important question to ask you: What do I say to America's future engineers? How do I inspire children to pursue a career if they see the best educated most accomplished engineers in America standing in an unemployment line? What do I say to the 486 students who will begin attending the Science and Math Middle School at the Detroit Science Center next September when they watch America's largest employers of engineers disappear? Asking for your support of the American automobile companies was not about nostalgia for their past glories. True, they created the American middle class, revolutionized personal mobility worldwide and enabled us to be the "Arsenal of Democracy" that powered the Allied victory in World War II. Engineers like Walter Chrysler and Charles Kettering shaped an industry that shaped the modern world. But Henry Ford himself said "History is bunk" so let's focus on today's accomplishments. Engineers from General Motors, Ford and Chrysler are leading the world in the development of battery technology, fuel cells, vehicle safety technology and sophisticated on- board microprocessing that puts NASA and Boeing to shame. American automotive process engineers have enhanced basic Japanese production techniques and quality systems to create the country's most integrated high volume production network of assembly plants and multi-tiered suppliers. American automotive engineers continue to pioneer the use of sophisticated design software to enable the rapid prototyping of parts and the virtual designing of new models. The Department of Defense aggressively adapts breakthrough American automotive technology to battlefield communications, logistics and warfare. Yesterday's "Arsenal of Democracy" is truly today's "Arsenal of technology. Isn't that worth saving, Senator Shelby? While the great engineering minds of Silicon Valley fret over packing more songs into an Ipod or downloading television shows faster, the engineers and scientists of the automotive industry are searching for the technology to reduce America's reliance on foreign oil and the world's consumption of fossil fuels. Senator Shelby, please help me explain to my museum's young visitors why your home State of Alabama spent billions of dollars to entice foreign companies while encouraging the demise of three companies that account for 12% of all the corporate research and development in America. Help me understand why a State consistently ranked lowest in education quality and number of engineering degrees awarded feels compelled to eliminate the nation's largest concentration of professional engineers. I know you don't believe Michigan's most important industry deserves help. Perhaps you still believe that Michigan's most important assets, our children, deserve some answers to the questions that will determine their future. Everyone loves a deal, and these days, there's no excuse for paying more than what you need to, right? DealBase.com's team of editors uses proprietary systems (in addition to good old-fashioned elbow grease) to scour hotel sites, emails, magazines, and other sources for deals. They analyze them so you don't have to. The Deal Analyzer breaks down a hotel deal and its included items, and compares these to regular rates and prices. Are you really getting a discount or not? You'll be able to see the % savings you're actually getting (or not!). Map it. Plan it. Go! Exclusively from AAA, the new Internet TripTik® Travel Planner is a great way to plan your trip online. Not only does it provide turn-by-turn directions, but it also offers colorful easy-to-read maps, the exclusive Modify-My-Route feature, the AAA Diamond-rated hotels and restaurants locator, a Fuel Pricing Indicator, and the ability to book at great member rates. Plan a trip with up to 12 destinations The Internet TripTik® Travel Planner is the perfect tool to get you on your way. Today, the Detroit Symphony Orchestra presents Leonard Slatkin as the new music director. "The Leonard Slatkin Era" begins with the DSO performing "Carmina Burana" through Sunday. Enter for your chance to win a pair of tickets to see the 3 p.m. Sunday performance. Five winners will be selected. Send entries to DSOdetroit@gmail.com with your name, address, phone number and "SLATKIN / Detroit News" in the subject line. All entries must be received no later than noon Friday. 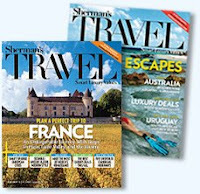 Receive a complimentary one-year subscription to Sherman's Travel magazine. We cover the forgotten, but critical niche of Smart Luxury. Find out which 4-star hotels offer you great value, and which 5-star hotels are worth the splurge. Let us take you to exotic destinations and allow you to explore new perspectives of the world's most captivating regions. Panera Bread is offering a free holiday recipe idea to all you great cooks looking for a quick and yummy addition to your holiday meal. Included below is a recipe for Cranberry Butternut Bruschetta. The photo of the completed dish looks delicious! Preparation: Pre-heat oven to 375°F. Slice the whole grain baguette across to create coin-shaped slices about ¼" thick and place on a cookie sheet. Brush each slice lightly with olive oil and bake for five minutes or until the bread is lightly toasted. Cut the squash from blossom end to stem. Wrap one half in plastic and save for another time. Using a tablespoon, remove the seeds from remaining squash. Spread 1 tablespoon of butter over the surface of the cut portion of the squash and sprinkle with salt and pepper. Place the squash into a baking dish, cut side down with about 2 tablespoons of water and tightly cover the pan with aluminum foil. Cook the squash for 1 hour or until fork tender and the skin is evenly wrinkled. After cooling slightly, separate the meat of the squash from the skin and set aside. Sauté 1 tablespoon of butter and all of the shallots or onion and garlic until translucent but not caramelized. Add the squash to the pan and slowly cook the mixture for about 10 minutes to evaporate some moisture and intensify the flavors. Season the mixture with cinnamon, nutmeg, sage, salt and pepper to taste. Blend the squash mixture until smooth and thick. Remove from the blender and set the spread aside until service. Garnish: Simply combine the dried cranberries, orange juice and walnut pieces in a bowl and allow to stand for 30 minutes before service time. Service: Spread a small amount (about ½ teaspoon) of the squash mixture onto each slice of whole grain bread using a teaspoon. Top with about one teaspoon of the cranberry garnish and place on a decorative serving platter. Serve while crostini is crisp and fresh. Discounted services serve a growing uninsured population. Log on to www.Bbc.co.uk/languages to take free beginner courses in Spanish, French, German, Spanish, and Italian. You can get upto 35 copies of each comic book for FREE. What better way to teach children the concept of money than with comic books! Presents a fable about the island kingdom of Mazuma and the growth of its economy from barter to a sophisticated modern system, with its own central bank, to iIlustrate basic concepts of barter, money, banking, and inflation. (Comic, Comics, Comic book, Comic books, Comicbook, Comicbooks) Maximum 35 copies. 24 pp. Illustrates the importance of savings - how it benefits all of us - and the various types of savings instruments and institutions. (Comic, Comics, Comic book, Comic books, Comicbook, Comicbooks) Maximum 35 copies. 24 pp. Uses the story of two basketball-playing buddies to discuss the role of checks and electronic payments in the U.S. economy -- including the role of the Fed in facilitating payments. The booklet also teaches personal finance skills such as writing a check and balancing a checking account. (Comic, Comics, Comic book, Comic books, Comicbook, Comicbooks) Maximum 35 copies. 24 pp. Explains the basic principles underlying foreign trade and exchange. ((Comic, Comics, Comic book, Comic books, Comicbook, Comicbooks) Maximum 35 copies. 24 pp. Explains the meaning and purpose of monetary policy, how the Fed makes monetary policy, and how the tools of monetary policy work. Revised (Comic, Comics, Comic book, Comic books, Comicbook, Comicbooks) Maximum 35 copies. 24 pp. Provides a history of the U.S. monetary system and events leading to the establishment of the Federal Reserve System. (Comic, Comics, Comic book, Comic books, Comicbook, Comicbooks) Maximum 35 copies. 24 pp. <>The Story of BanksFollows three young entrepreneurs as they use progressively more sophisticated bank services over a 23-year period. Also explores the role of checking deposits and lending in money creation. (Comic, Comics, Comic book, Comic books, Comicbook, Comicbooks) Maximum 35 copies. 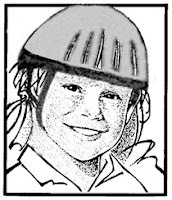 24 pp. Explains the purposes of money in a modern economy, the characteristics that items used as money have, the way the banking system creates money, and the reasons the Federal Reserve influences the money supply. (Comic, Comics, Comic book, Comic books, Comicbook, Comicbooks) Maximum 35 copies. 24 pp. Describes the causes and effects of inflation and discusses alternative anti-inflation policies. (Comic, Comics, Comic book, Comic books, Comicbook, Comicbooks) Maximum 35 copies. 24 pp. Describes the major functions of the Federal Reserve System, the tools of monetary policy and how they work, and the other ways in which the Fed helps the U.S. economy and financial system to function. (Comic, Comics, Comic book, Comic books, Comicbook, Comicbooks) Maximum 35 copies. 24 pp. Explores the economic problem of scarce resources and society's reactions to such problems via a children's story. You may obtain 25 for classroom size. Comic-style booklet. Teacher's guide designed to accompany the comic-style booklet, Wishes & Rainbows. Provides background information, an analysis of the economic themes in the comic-style booklet, discussion questions, a glossary of economic terms, and classroom activities. 1985. A goal of the Charles H. Wright Museum of African American History is to chronicle important events and moments in our community as they are happening. The Museum invites you to take this opportunity to share your experiences, insights, thoughts, and reflections on this historic 2008 Presidential election. Please share your thoughts with the Charles H. Wright Museum in order they may be preserved as a part of the local history of this national moment in our lives. To register and preserve your comments, visit www.maah-detroit.org/election/index.php. HAP Advantage offers valuable money-saving discounts and extras to Health Alliance Plan subscribers* on a variety of health-and-wellness related activities and venues. To receive your discount or for more details, log in to Online Services and visit HAP Advantage Discounts. Many HAP Advantage partners are local companies and venues that call southeast Michigan home, just like you do! *HAP Advantage discounts are available to all HAP and Alliance commercial and FEHB members. For information on discounts available to members enrolled in our Medicare Solutions products, please go to our Medicare Web site. Do you ever wonder what it costs to drive somewhere? We do and so we created CostToDrive.com to help people quickly and easily discover how much it costs to drive anywhere in the US. Type in your starting point, ending point, and what kind of car you have. 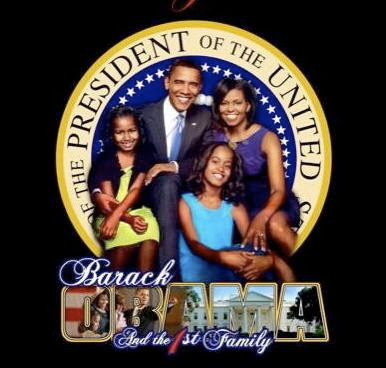 On Nickelodeon's Kids Pick the President Web campaign, kids have accurately predicted the outcome of four of the last five presidential elections. Show your children the website, so they can learn about the 2008 candidates and the election process and then cast their own ballots. 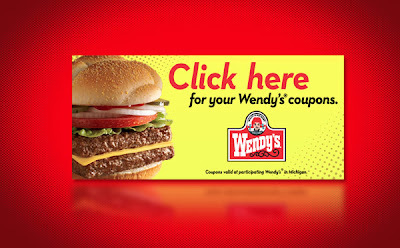 If you are a Wendy's fan, don't go without printing these coupons that will get your food even cheaper. FARMINGTON HILLS, Mich., Oct. 1 /PRNewswire/ -- Today, Community Choice Credit Union introduced the Community Choice Foundation to support students pursuing higher education in Michigan. Community Choice Credit Union will provide a minimum of $100,000 to high-school seniors starting college in the fall of 2009. The goal of the foundation is to provide $1 million in scholarships between 2009 to 2012, through support from the credit union and its Members. To be eligible, students need to graduate with at least a 3.0 grade-point average, from high schools within the Community Choice charter counties of Genessee, Lapeer, Livingston, Macomb, Oakland, St. Clair, Washtenaw and Wayne counties. In addition, they need to attend an accredited college or university in Michigan. The scholarship will provide students with $5,000 scholarships, enough to cover the tuition costs of students' first year of college. Do a search for "Detroit" to get the classrooms in the Detroit Public Schools. The concept is simple. Working or not, sell your used and previously owned laptop and notebook computers.Our service is friendly, professional and we've become one of the industries most trusted and dependable laptop refurbishment businesses. Watch Full-Length Movies, TV Shows, and More — Free! IMDb is now showing full-length movies and a great selection of full-length TV episodes directly on our site -- for free! We have the best selection of films and shows on the internet, paired with all of the rich film and TV information that you expect from IMDb. Best of all, you can watch it all right now for free! 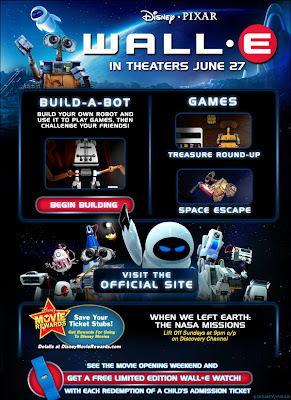 Search for your favorite films and TV shows to find the videos and movies you want to see! "For the first time in its history, Stanford is offering some of its most popular engineering classes free of charge to students and educators around the world. Stanford Engineering Everywhere (SEE) expands the Stanford experience to students and educators online. A computer and an Internet connection is all you need. View lecture videos, access reading lists and other course handouts, take quizzes and tests, and communicate with other SEE students, all at your convenience. This fall, SEE launches its programming by offering one of Stanford’s most popular sequences: the three-course Introduction to Computer Science taken by the majority of Stanford’s undergraduates and seven more advanced courses in artificial intelligence and electrical engineering." *Offer does not entitle Passholders or multi-day ticket holders to cash refund or credit. Proof of birth date required upon admission. 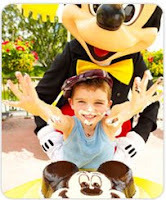 Visit disneyparks.com for details and to register for the birthday ticket. Free samples from other Dover Paper Doll books and more! And the fun will go on even after the election is over-you'll continue to get FREE samples from a wide variety of Dover books with our weekly Dover Sampler! Decorate your desktop with images from the pages of National Geographic magazine. A budding nonprofit organization hopes to provide full college scholarships to every Detroit Public Schools graduate, starting with a pilot program for the class of 2009 at one school to be announced this fall. Organizers of the Detroit College Promise, modeled after the Kalamazoo Promise scholarship program, are seeking pledges from individuals and corporations to help fund the program and create an endowment, according to executive director Nat Pernick. The scholarship, when fully funded, would be offered to every Detroit Public School high school graduate who has attended a school in the district for four consecutive years and completes a one-page application form, said Pernick, a Huntington Woods pathologist. The nonprofit organization, which has $40,000 in pledges already, will need $500,000 to fund the pilot program, Pernick said. Who would qualify? Every Detroit Public School student who has attended high school for four consecutive years and lived in the city for at least four years. How much would students get? That depends. The scholarship benefit increases the longer a student attends school in the district, ranging from 65 percent of tuition and mandatory fees for 4 years of attendance to 100 percent of tuition for 13 years. Students who want to apply will have to complete a one-page application. Can I apply now? Not yet. 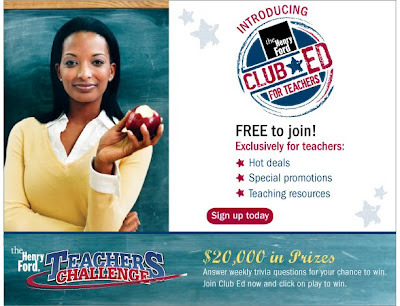 For information : Go to http://www.detroitcollegepromise.com/. In order to turn these students' college dreams into action-oriented goals, the American Council on Education, Lumina Foundation for Education and the Ad Council launched the KnowHow2GO campaign in January 2007. This multiyear, multimedia effort includes television, radio and outdoor public service advertisements (PSAs) that encourages 8th through 10th graders to prepare for college using four simple steps. · Be a pain – Let everyone know that you’re going to college and need their help. · Push yourself – Working a little harder today will make getting into college even easier. · Find the right fit – Find out what kind of school is the best match for you and your career goals. · Put your hands on some cash - If you think you can't afford college, think again. There's lots of aid out there. To ensure that students and adult mentors who connect with the powerful messages of the PSA campaign can easily find real-time, on-the-ground assistance, we have built and continue to support a strong grassroots network of partners. To date, more than 15 state and regional coalitions and 60 national partners have signed onto the campaign. Everyone likes a FREE song, but how about an entire FREE album? HOLLA to the FREE! * Play more online games on FREEISMYLIFE by clicking here. Enjoy! Traveling to Southern California and want to get FREE tickets to attend TV show taping?? Try this website. On Camera Audiences is the offical ticket source for your favorite shows.